Want to export your business cards as PDFs? 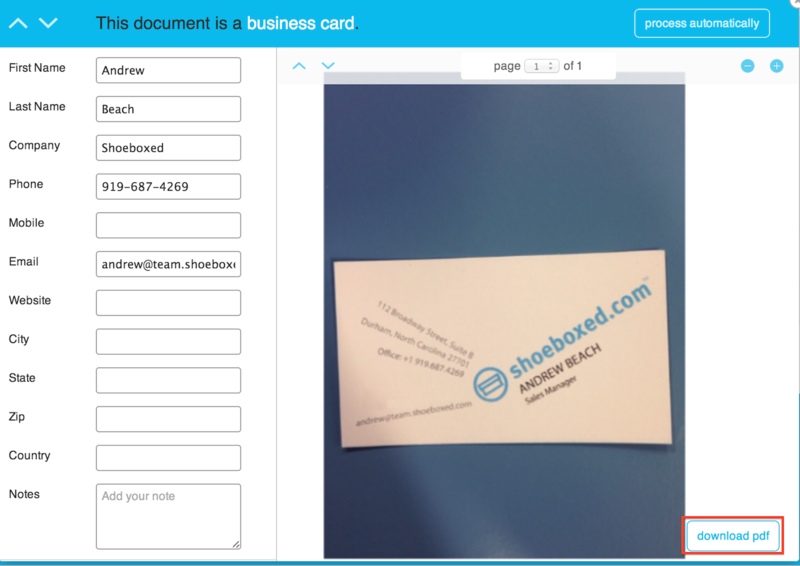 Log into your Shoeboxed account and click on Business Cards. Click on the business card that you wish to export.